Thanks for checking out the Crusader Stream Pack. This guide will cover items downloaded from NerdOrDie.com and TwitchTemple.com and will take you through the setup process. If you have any questions that aren’t answered in this setup guide, please feel free to contact us. Photoshop and other third party software is not required to use this product, however specific components can be edited in Photoshop. If you’d like to match the style of the overlay and alerts, use the fonts listed below. Asul – The serif font is used on starting screens. Installation of this product involves using media, image, and text sources. If you’re unfamiliar with these, please make sure to familiarize yourself with the streaming software you use. Unzip the files you’ve downloaded onto your computer. Open your streaming software. Add animated parts (WEBM files) by adding “media sources” and locating your desired overlay elements. There are preset layouts OR modular elements to customize to your needs. Mix and match as needed. Skip this step if you do not need to add custom text to the labels. The easiest way to add you custom text is to load one of the blank WEBM files and add a ‘text’ layer over the top using the recommended font. To add dynamic supporter tags, add in text sources and connect them to the appropriate text file. This will be done using apps like Streamlab’s Stream Labels or the Muxy Ticker. We recommend using the fonts listed in the “before you install” section. Any scenes can be set up in a similar process (Starting Soon, BRB, etc.). In your new scenes you will add in media files from the “Screens” folder, images from the “Icons”, and text sources to add custom text needed. Again, please use the recommended font. Please use any demo images or movies for reference on recommended layouts. To change the language or text used in your overlays you may use the blank versions of our supporter sections / overlays. From there, you will need to add text sources with the text needed on top of your supporter sections. We recommend using the fonts listed above in the “before you install” section. You can also use image sources to add the icons we’ve included in your downloads as well. Unzip the “Crusader” files you’ve downloaded onto your computer. Open the Streamlabs OBS “Settings” (top right “gear” icon). Click the “Scene Collections” tab. Select “Import Overlay File” and then select the .overlay file. This file is included in the “Streamlabs OBS” folder. Adjust any text sources to customize for your stream. Add any alert sources as needed (you may want to resize the Alert Box sizes in the properties of this source). Double check all other sources. Please note that some text boxes may remain blank. For example, the “New Tip” text source may not show any names, as you might not have any new tippers. For any video file, you will need to enable “Close File When Inactive”, as this may not be checked by default. If you do not do this, your video files will run while not showing, and use a significant amount of CPU or Encoding Resources. We’ve set up a few scenes for you already and have included most of the items available with your full download. In your downloaded files, open up the standard alert folder. Click the Alerts Quick Setup link to begin installing these alerts. If you’d like, choose “Create Widget Theme” and name it something appropriate such as package name. The import link will only override your alert package. This means you can combine these alerts with any other scene collection/widgets you’ve made in Streamlabs. If you want to save your old alerts, it’s highly recommended to do this in a new profile. Paste this URL as a “Browser Source” in your streaming software. Once you’ve added this into your streaming software test the alerts to make sure they’re working properly. If you’re planning on using text-to-speech you may need to delay them from being read, as there is an intro animation and sounds. To do this, you can change the Alert Text Delay in the Streamlabs base options. If you’re using alert variations (such as re-subs) you will need to update in the variations as well. In your downloaded files, open up the Streamelements alert folder. Head over to Streamelements.com and ensure you’re logged in. This link will automatically open up the Streamelements website and begin the import. You should now find the imported alerts named after the pack they are from. *NOTE: The Streamelements links are specific to your platform. You can only use the Twitch link for Twitch, and YouTube for YouTube. We generally recommend setting the size to 1920 wide and 1080 tall (more height is recommended if using messages), however, depending on your stream adjust the size here may work better for you. If you need to scale down, you can do so directly inside of OBS Studio. If you’re using the Streamlabs OBS .overlay file, you may not need to complete this step if your alert box is already added in. The scenes will be divided up into media sources (video files), image sources, and text sources. Add in text sources, using the recommended font, and place next to the icon if desired. Duplicate scenes and change as needed. 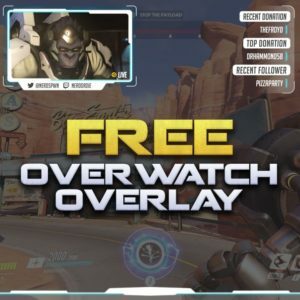 Using Streamlabs OBS import for scenes? All scenes will be set up once you’ve imported the package, please refer to the “Streamlabs OBS” tab. Setting up a stinger transition between scenes is easy with OBS Studio. The user may use these alerts for personal and commercial use. It is intended for one (1) user and one (1) device only. These usage permissions do not expire. Re-distribution is strictly prohibited. The alert graphics and code remain the property of Twitch Temple and Nerd Or Die unless written permission is granted. This version of the alert is provided as is. If there are missing elements or you think something critical needs addressing, please contact us outlining the issue and provide the email used to purchase the product. You are allowed up to 5 downloads per product. Please follow @NerdsPwn on Twitter for update information. To receive these updates simply re-download the product via the email link, or on your account page when logged in.